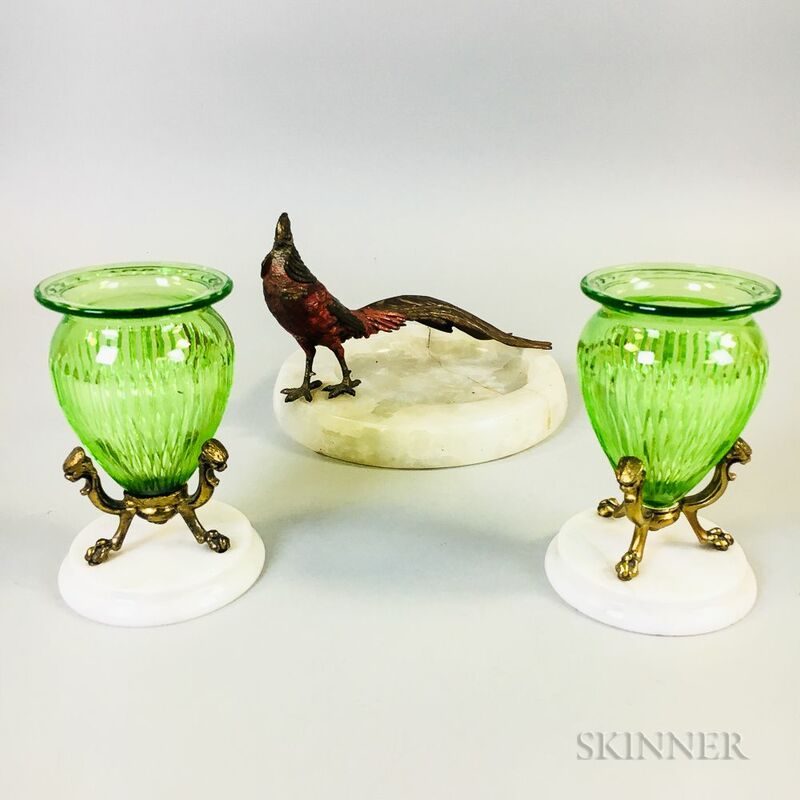 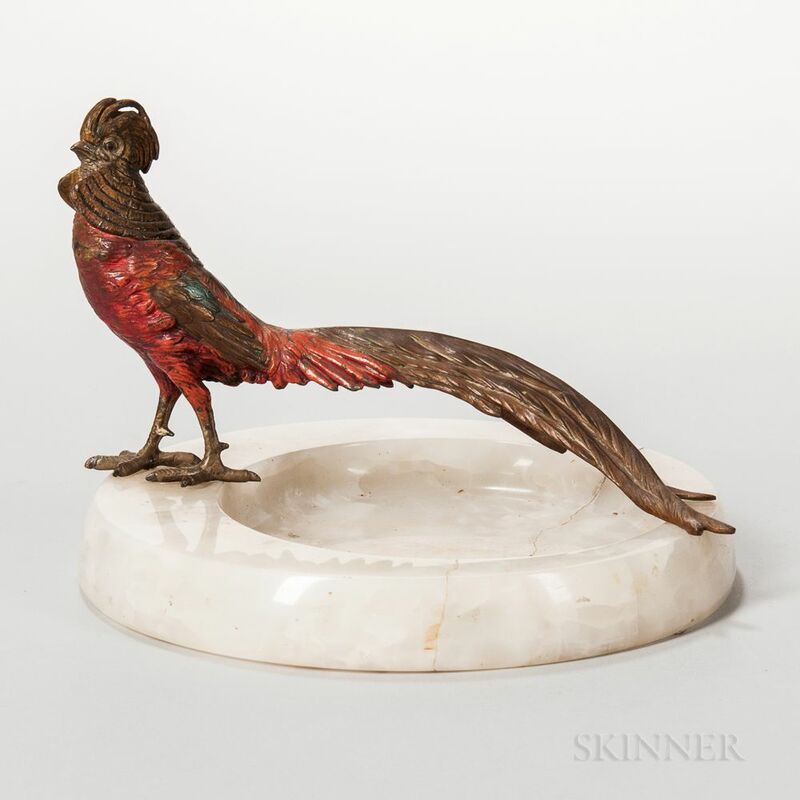 Pair of Bronze-mounted Green Cut Glass Urns and a Cold-painted Bronze Rooster and Marble Ashtray, ht. to 5 3/4, wd. 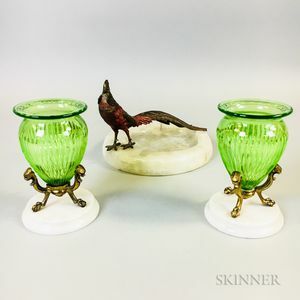 to 8 1/2 in.